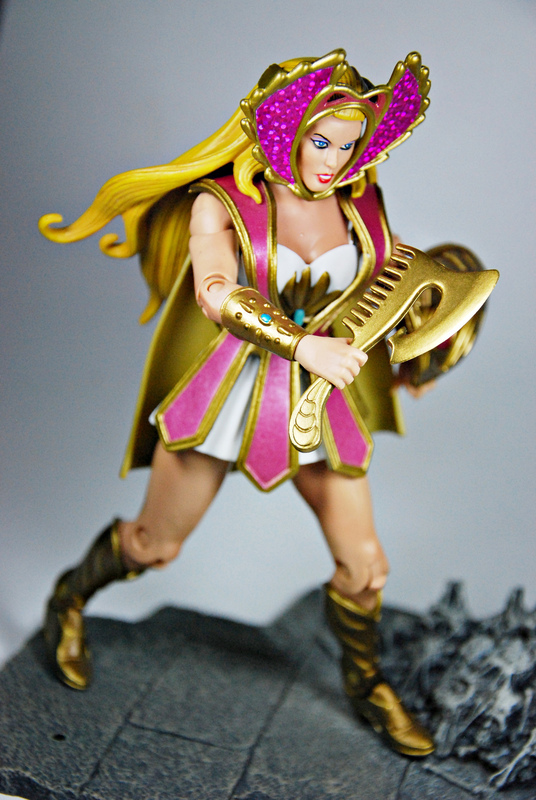 After crossing over from Etheria to Eternia with the help of Light Hope, She-Ra joined forces with her brother and the Masters of the Universe who were caught in a four-way war with the Snake Men, Skeletor and Hordak. 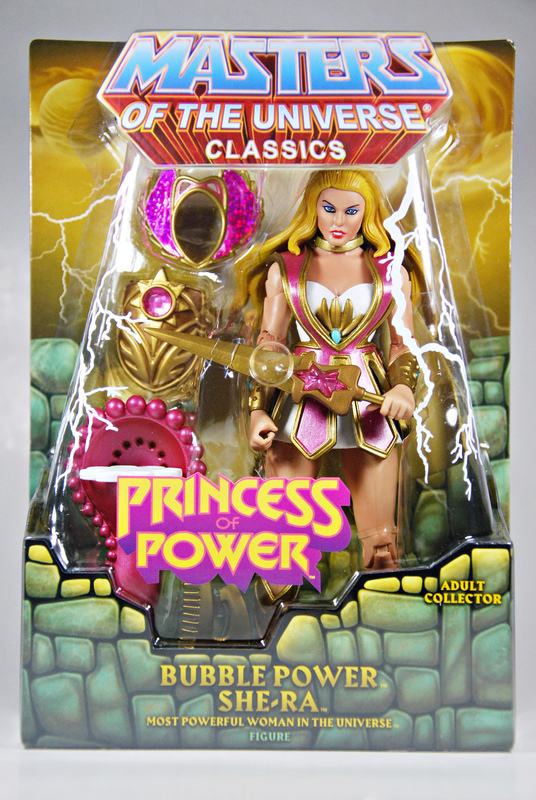 She used her cloned sword to harmonize with and channel the Powers of Grayskull to form new arms and armor in the midst of battle. 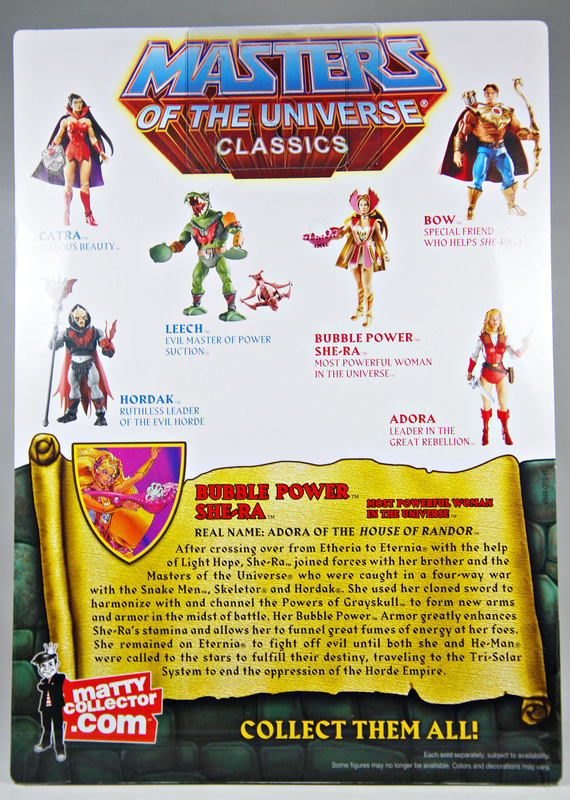 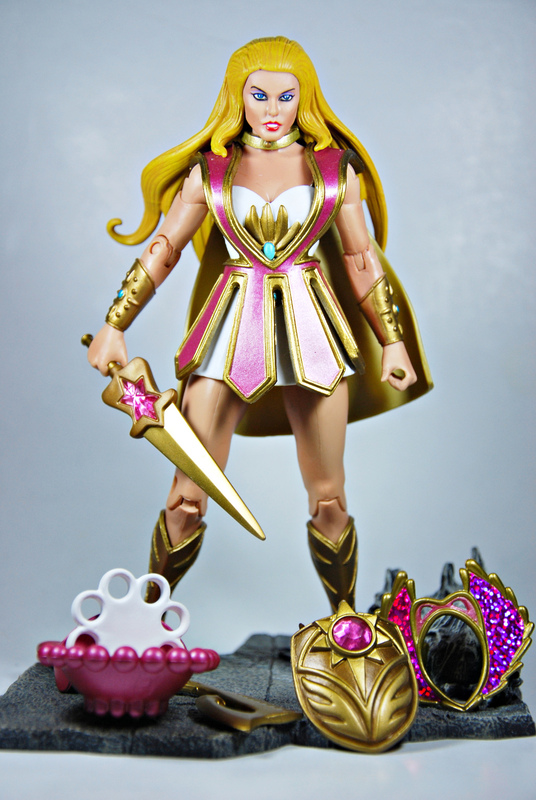 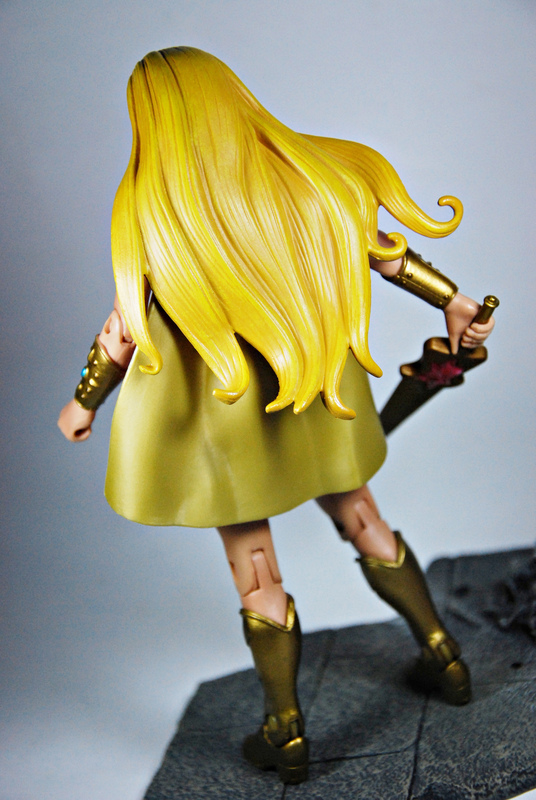 Her Bubble Power Armor greatly enhances She-Ra’s stamina and allows her to funnel great fumes of energy at her foes. 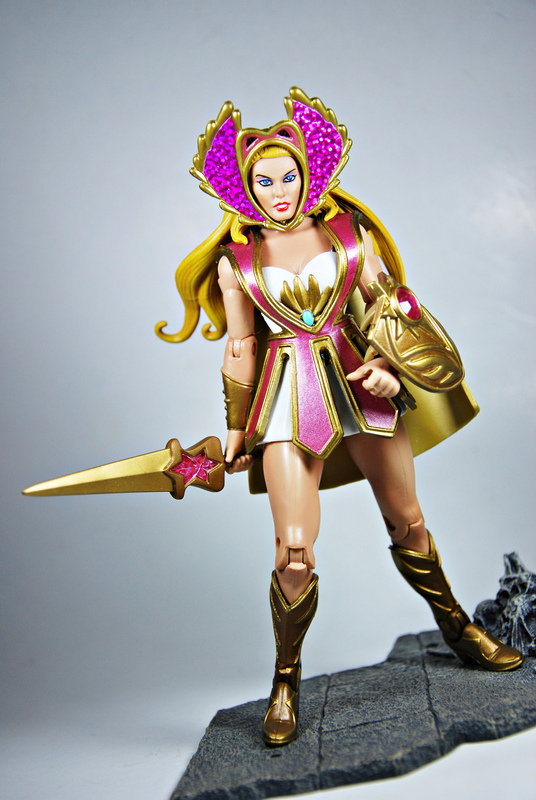 She remained on Eternia to fight off evil until both she and He-Man were called to the stars to fulfill their destiny, traveling to the Tri-Solar System to end the oppression of the Horde Empire.